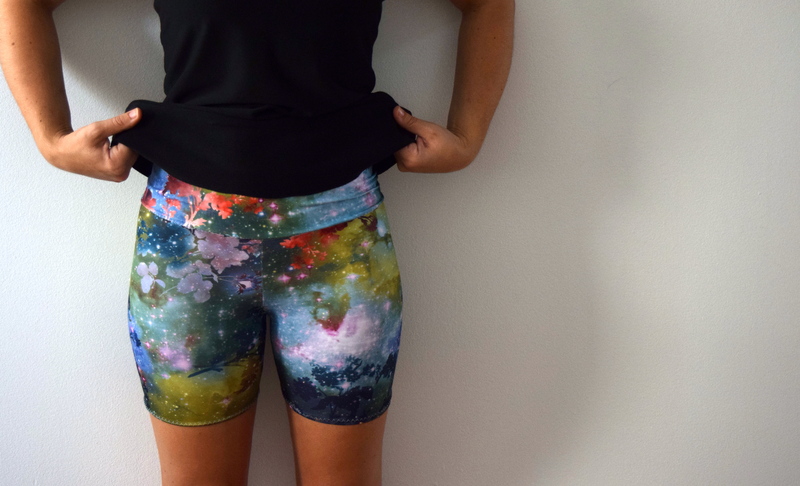 I had some extra floral galaxy fabric left over from my bathing suit and decided to make some shorts! These guys are made from the Matilda Leggings by Spit Up and Stilettos. You may remember, I previously made this pattern in Capri form, but wanted to try the shorts version for some time. I love that this pattern has the option for pants, capri’s and shorts and if you are still out of the loop- this pattern is FREE– along with all the Women’s patterns on the site! These shorts are awesome! They are going to be great for running, biking and even swimming (it is swim fabric after all)! I’m currently using them for lounging because I am side lined from physical activity. A week ago I dropped a cast iron- iron on my foot. I didn’t break my toe but, let’s just say it’s pretty bad. I still can’t cover it without pain but the bruise is finally going down. I can’t run for a few weeks so I won’t be able to do the half marathon I was planning on in October, and definitely won’t be doing the marathon I wanted to do in November but that means I have some more time to sew! Haha just kidding I’ll be using that time to sleep. I still have a little more fabric left over but it’ll be staying in my stash for now. Have you made a swimsuit before? What did you do with the leftover fabric? Thanks! Yes, I feel like injuries always come at the worst times! Ow, my feet hurt and I didn’t even get hurt! I feel so bad for you…😓 These are great shorts, though! And who doesn’t love a free pattern?? Thank you! I can’t wait to see your bathing suit!!! I’m sure it will be beautiful! These are awesome, I love your fabric! 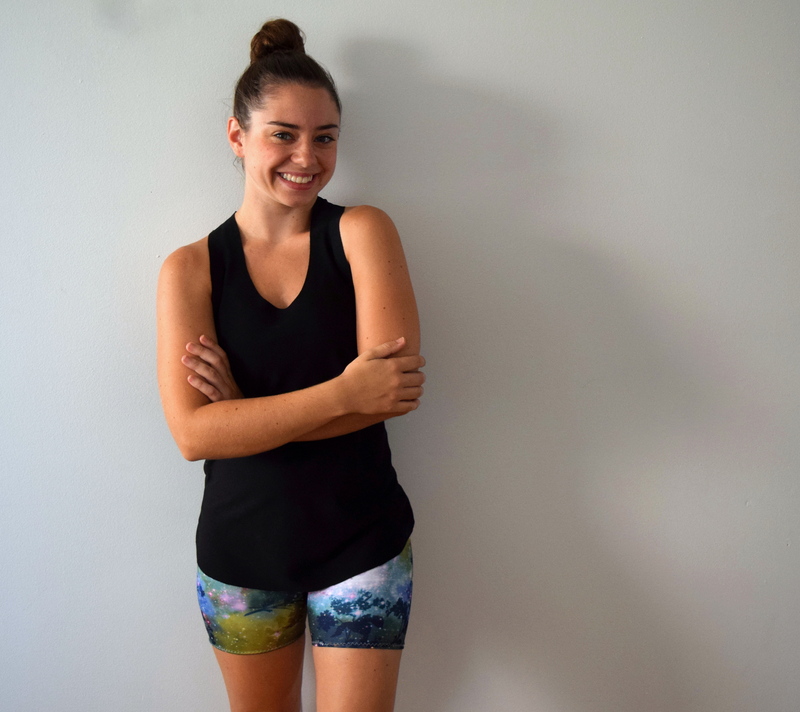 I’ve been wanting to make yoga shorts for awhile – I need to try it out!